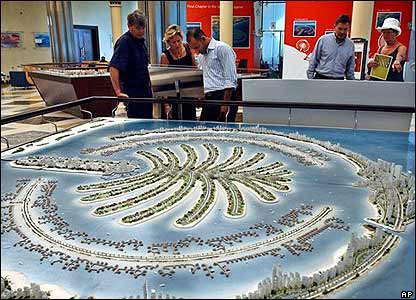 Customers inspect a model of Jebel Ali Palm Island - one of the ambitious construction projects under way. 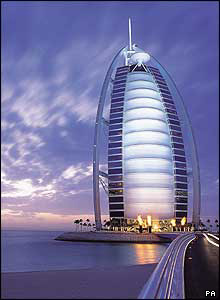 The seven-star Burj Al Arab hotel has become one of Dubai's most recognisable symbols. 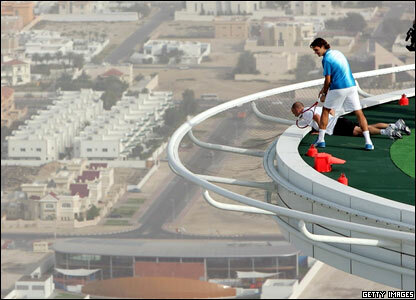 In February this year in a publicity stunt, Andre Agassi and Roger Federer played on the hotel's helipad. A number of balls were lost. 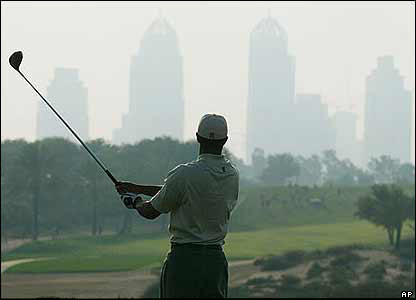 Sport is an important factor - here Tiger Woods play in the first round of the 2004 Dubai Desert Classic. 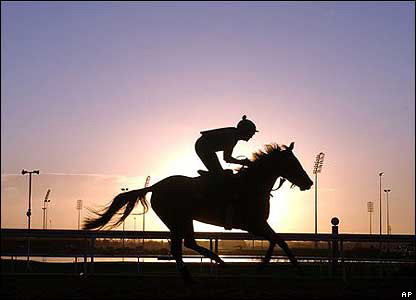 Morning trackwork at the Nad Al Sheba racetrack a day before the US$6 million Dubai World Cup. But it's not all riches. 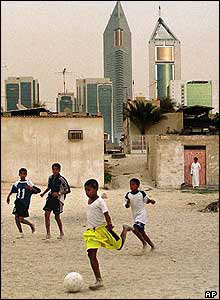 Here boys play in a poor neighbourhood where people live in makeshift homes. 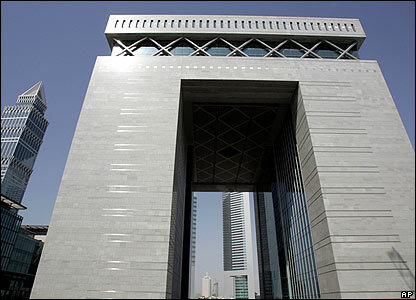 Dubai's financial section - part of the city's bid to become the region's financial hub. 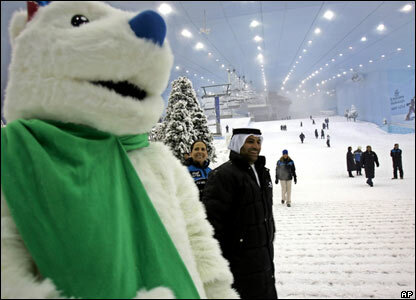 The manager and the polar bear mascot of the Ski Dubai complex as they prepared for their first ski season last month. The 400m-long ski slope as seen from outside. 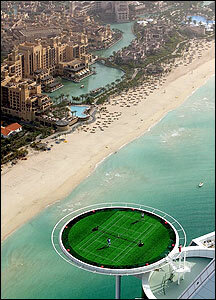 It's the first in the Middle East, and the world's third largest.